ASIDCOM has learned about the contents of the first CEN (Committee of European Normalization) meeting in Istanbul in September 2013 as part of the work on a future European halal standard. ASIDCOM has asked to be a member of the AFNOR (Association Française de Normalisation, the French national organization for standardization) "Halal Foods" Committee. The list of current members of the committee can be found on AFNOR’s website  . We have noted the presence of a representative of the Interior Ministry and Mrs. the CNRS (National Center of Scientific Research). 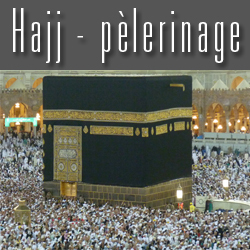 As it is noted on her CV Ms Bergeaud-Blackler, an anthropologist (CNRS), is a member of the AFNOR’s halal committee . Both she and Mr Bernard Godard (expert on islamic questions within the Interior Ministry) have certain views about halal that ASIDCOM finds objectionable. Also the CFCM (French Muslim Council for Worship) and a representative of the AFNOR-Certification program appear on the list of committee members. After attending several AFNOR “halal foods” commission meetings, ASIDCOM is still concerned about the compatibility of this approach to setting standards with a real respect for Muslim’s religious right to select foods to meet their requirements. AFNOR is charged by the French government with the general mission with respect to the France’s standardization system (Decree No. 2009-697 of 16 June 2009). It operates under the supervision of the French government in general and in particular the Ministry of Industry. So does AFNOR have the right to “own” a religious standard such as halal ? Should such a religious halal standard be submitted for a consensus to non-Muslims stakeholders in a standardization committee ? Will the certification of halal be done by non-Muslims and/or directed by a non-Muslim authority ? Is this an attempt to separate halal from its religious essence ? This article is not intended to answer all of these questions. But we would like to state some of the inputs that need to be considered. These are extracted from the Charter of the CFCM, statements of Mr. Bernard Godard, and the article "To Islamize Food" written by the anthropologist Mrs. Florence Bergeaud-Blackler. On Wednesday, June 4, 2014, the CFCM after its first ten years of existence released its first “The French Muslims Civic Convention for Living Together." The convention has several articles on topics related to Muslim practices, e.g., Halal, Hajj, etc. ASIDCOM is particularly interested, here, in Article 15 entitled "FOOD RITES." It states that "The concepts related to food duties are clearly identified by the Koran. About 24 verses of that document state the dietary requirements". But readers must not forget to include all the prophetic traditions and commentary on these subjects that have been transmitted orally, in writing and through common practice by Muslims from generation to generation. Also, Article 15 elucidates a set of religious concepts specifically on the issue of the religious slaughter of animals according to the tradition of our beloved prophet. "To be ‘Halal’ the meat that is, to be legal and consumable by Muslims, the sacrifice of the animal must be quick so as to be the least painful possible. Blood should be allowed to flow freely and the slaughterer shall pronounce the Muslim religious formula while slaughtering the animal with the animal’s head facing Mecca. It is the specificity of this slaughter that allows for certifying that the resultant meat is "Halal". Moreover, the CFCM "advises that stakeholders rationalize the organization of religious slaughter and to assure reliable commitments are made by the various operators involved in the whole production chain to ensure French Muslims that certified ‘Halal’ products that are suggested for purchase by Muslim consumers comply with their expectations”. We observed reluctance on the part of Mr. Godard to accept the Muslim stakeholders’ claims for religious rules that correspond with generally accepted ethical considerations to be quoted in the halal standards. For example, for him, the proper treatment of animals and the excluding of animal by-products in animal feeds (e.g., such as the materials that caused so-called “mad cow disease,” i.e., bovine spongiform encephalopathy) can be given as examples of "common ethics acceptable to all humans” that shall not therefore be permitted to be claimed as “the privilege of a ‘religious’ ethic in particular”  ! His statements show an obvious ignorance of Muslim jurisprudence on the issue of animal feed and animal welfare. He shows a misunderstanding of the fact that these ideas were accepted long ago in Islam and have only recently been accepted by secular society. This also represents an attempt to marginalize the positive aspects of religious thought. However, the fact that halal standards emphasize the religious obligations of animal welfare, the selection of clean food, and respect for the Islamic rules for animal slaughter does not in any way mean that these ethical considerations are unique to Islam. We chose to share with our readers as much as we are permitted of the discussion with Mr. Godard to understand his view of halal issues as a diaspora invention ! The diaspora halal theory of Mr. Godard is similar to ideas espoused in a recent article by the French anthropologist Florence Bergeau-Blackler in "To Islamize Food : Halal Standards and Market Dynamics". In her article she says, "It should not yield to suspicious theories that point out the market as a corrupt and unscrupulous actor, creator of a halal brand to supposedly trap gullible Muslims." She does not approve of the legitimacy of consumers to act as Muslim consumer . Elsewhere, she tends to relate the Muslim consumers’ opposition to interference with stunning to extremism and radicalism within the Muslim community. She has already reduced the Association of Muslim consumers, i.e., ASIDCOM to the person of "a blogger" who is assumed to be Mr. Di-Spigno, the founder and ex-president of the association  . She recently characterized, the website www.asidcom.org as a “very active blog” while wondering about the representativeness of the organization. In her article "To Islamize Food" she stressed that the Al-kanz (an electronic Muslim consumers magazine), ASIDCOM and Halal Trends (“Tendances Halal”) websites as being among the oldest of these new groups of Muslim consumers who criticize the "false halal", i.e., halal claims that violate traditional standards as they denounce the "false Islam." But we do not know more about what she means by the "false Islam." She confirms, in the same article that ASIDCOM declares stunning to be "anti-Islamic" . However, she does not specify what is “anti-Islamic” with respect to stunning ! She also considers that it is “daring” for the three approved mosques to refuse to accept stunning : "So far they have never dared to condemn stunning... The Paris, Lyon and Evry mosques have aligned their position to the position of the Jewish Consistory of Paris, invariably hostile to stunning. ". Ms. Bergeau-Blackler, as mentioned earlier, is currently a member of the French AFNOR (French Association of Normalization) Commission on "Halal Food" within the CEN (European Committee of Normalization) project to establish a European halal standard. One might ask what role she plays within this official "Halal Food" commission of AFNOR. The analysis of her recent article leaves many of us skeptical about the type of contribution she can provide to the halal standardization committee, which is and should be mostly experts on halal issues. The author introduces her article by suggesting the existence of “skepticism”, “contempt”, and “hostilities” against the halal market and/or the “Muslim world”. She talks about the “battle for the halal market”, “within the post-September 11 era”, “after the explosion of the Twin Towers”. She reminds readers of a “civilizational divide” that has been used to justify the “petrol wars”. She states, a few pages later, the parallel feelings of Muslim immigrants, especially in France. She indicates illicit products (that are eaten by non-Muslims) as a source of “confusion”, “disorder”, “dirt”, “impurity”, “disgust”, and “loathing” by Muslims out of the dar al-Islam (Muslim countries). According to her analysis, "eating an illicit substance is becoming another, here is becoming a Christian  . It is a self-denial and denial of his groups. It is so much a serious act that it marks the physical body ..." "… Around this taboo (of forbidden foods), a collective imagination of food and the living world of corruption and spoilage is developed (by the Muslim diaspora)... "
She goes further in demonstrating the spirit of conflict, confrontation and a need for separation as being at the origin of the halal market by emphasizing an intra-Muslims division because of halal. She estimates that "In the 2000s, the battles around the true and false halal draw a line between the "righteous" and the ‘corrupt’". Against what is described as an opportunistic or corrupt political management of community matters by historical mosques …, social networking sites [controlled by groups such as Muslim consumers representatives] exalt the religious values of piety, endurance, strength, and rigor of these young French Muslims with long beards, filmed during their daily visits to slaughterhouses and cities halal butchers as being in charge of overseeing the effective protection of Muslims in France.” Isn’t this an attempt to fan the flames of Islamophobia ? The question of the organization of the halal market by Muslim actors, from an intra-community point of view, is much more complicated than these types of shortcuts and amalgams would suggest. There are certainly shortcomings such as the lack of training and appropriate skills of some Muslim market actors and some amount of deception (by Muslim and non-Muslim actors), but all of them may come within the scope of violations of Islamic transactions law (Mouamalat) on intra-community level expectations and secular consumer protection laws at the national level. We will see later how her emphasis on the spirit of conflict and the alleged Muslim need for separation are used by Ms. Bergeau-Blackler to separate halal from its religious essence. In her article "To Islamize Food", Ms. Bergeau-Blackler proposes that "the ’halal’ label is an industrial establishment but also that the whole idea of halal food should rather be seen as a diaspora invention. Halal is the result of a mismatch between two dynamics, the extrinsic market dynamics and the intrinsic dynamics of diaspora invention". She proposes to further expand on her idea. She suggests a cliché to cover the halal space : "The halal represents the “comestible” space frontier” and she announces that this area is "built-up by the Muslims who emigrated out of dar al-Islam." According to her, the context of "meeting" or "confronting" “others” has sparked the need for distinction and separation among the emigrants of their food while "before the globalization of the halal trade, halal foods were unknown in Muslim countries." Thus according to Ms. Bergeau-Blackler the labeling of "Halal" is a diaspora appellation that was invested, in a second time, by both the economic and religious actors." A second cliché she proposes is : “To be Muslim is to cut the sheep”. She attributes this statement to a Muslim during an Eid Al-Adha celebration and used it to confirm that : “the link is made explicitly between food and devotion, and food and religious identity”. She explains that "in reality, the technical act of slaughter is not different from that of the local butchers", i.e., the traditional French butcher doing slaughter of animals. Then “on behalf” of Muslims and their Ulama, she declares that "the ritual is primarily a ceremonial devotion to God : orientation towards Mecca and pronunciation of the tasmiyya.” Thus, she ignores the differences between French traditional farm slaughter and religious slaughter. The words spoken by this Muslim during the Eid likely express his attachment to his right to make the sacrifice of Eid himself as recommended by the religion  . 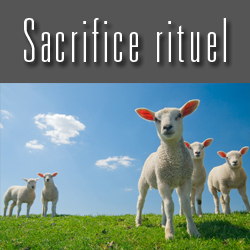 The sacrifice by individuals on the day of Eid is a major Muslim religious practice. It refers to the memory of the sacrifice in lieu of his son by Abraham, who is the father of the three monotheistic religions ; Judaism, Christianity and Islam. The opening of halal butchers fits according her analysis as part of the desire of the Muslim diaspora to encourage separation between Muslim, and Jewish and Christian meat. "Muslims open their own butcher shops despite the absence of such a requirement by the Islamic authorities. The Ulama … does not formally prohibit the consumption of ‘the book people’s, food, that is to say the meat of Christians and Jews and their traditions for slaughter." She completely obscures the regulatory texts that are the main reasons behind the increase in halal butcheries in France. This is what she says, paradoxically herself later in her article under the title "Industrialization of Ritual Slaughter." "Once the ritual slaughter is institutionalized, Muslim families lose control of any attempts to short circuit the production and distribution. Three solutions are used to defy the law of the prohibition of [practicing religious slaughter at the slaughterhouses]”, buy from Jewish butchers, or finally open Muslim butchers. " Ms. Bergeaud-Blackler repeatedly confuses French conventional/industrial meat with "Christian" meat. She even postulates that Muslims in the diaspora have forbidden for themselves meat of Christians : "the justification for the prohibition of "Christians" meat is based on various arguments like blood and waste impurity, health risks, disrespect of the animal, industrialization, etc.. Despite the fact that industrial halal meat is from animals slaughtered and bled to death in the same way as conventional meat, this fear persists." This so-called industrial halal meat is assumed by a vast majority of Muslims and non-Muslim consumers to come from a religious slaughter that complies with Muslim requirements. Unfortunately, any deceptive practices in the halal meat market are not yet taken seriously by law enforcement agencies responsible for consumer protection in France and Europe, which is what leads to consumer skepticism. otherwise, Otherwise, this issue has been debated by Muslims scholars in terms of the general principles for accepting this meat, which requires meeting certain standards that may not exist in certain countries. And in modern times this is further complicated by the lack of assurance that the slaughterer was actually a Christian. This is not an issue for kosher meat, where the assurance of a Jewish slaughterer is a given ! Also the search by Muslims for legal halal meat is translated by the author as the need for or the existence of a normative work to define halal. She has based her analysis on Muslim users discussions through internet forums to conclude that there is a normative work within the Muslim community to define what is halal  . This work according to her is due to an ideological and historical vacuum on the issue of halal food ! This is different from what she said in her article "Halal : From a Community Standard to an Institutional Norm" in 2006 : "At the same time, in this area, mistrust reigns. A visit to some of the Muslims websites attests to this concern. Speeches seen there are denouncing "waste” and other "malpractices" : the vast majority of halal claims seem to be false, consumers seem to be deceived." Ms. Bergeaud-Blackler argues in her article that other examples support her thesis of a diaspora invention to halal foods. She placed great emphasis on a supposed need of the organization and the separation of meat in a fearful, protectionist and identity defensive approach to unify and preserve the integrity of the group and its reproduction. In particular, she concludes that “Now the halal marketing is widespread which helps to strengthen and confirm to the Muslim diaspora the link that they built between diet and Islamic identity." It is also interesting to see how she tries to identify this as unique to the Muslim diaspora. She emphasizes "But this identity/food link is not automatic : you can feel fully Jewish without eating only kosher and certainly fully French without eating frog legs." ! And she seems to miss that you can be Muslim without eating halal. However, for both Jews and Muslims ; not eating certain foods is still a religiously relevant practice. She then explains that "The link between food and identity is valid only when permanently invested by meaning, quickened and revived collectively by the group…” And to prove that this is the case for Muslims she adds : "The children of Muslim families do not begin a process of food restriction following a progressive and rational learning of religion by specialized bodies. The taboo is not taught to them, but it is transmitted to them, sometimes "brutally" by a call to vigilance vis-à-vis the flesh of swine that is forbidden to them because they are Muslims". This Muslim intergenerational transmission mechanism is reminiscent of the theories developed around the use of the veil just before its ban in French schools. "It is important to note that despite some common misunderstandings, an Islamic lifestyle is neither intrinsically anti-Western nor anti-American.”  The Muslim religion has been announced as a universal religion. “And We have not sent you, [O Muhammad], except as a mercy to the worlds.” (Surat : The Prophets, verse 107.) Islam teaches openness and sharing with others and promotes social peace. In countries with a Muslim minority, Muslims mix naturally with non-Muslims and share with them all traditional social activity that do not conflict with their religious obligations. Muslims also love sharing food among themselves and with non-Muslims. Social mixing with non-Muslims does not impede the transmission of the Muslim faith between generations including in countries with a Muslim minority. The transmission is often provided by an unvarnished word (God is one), teaching practical acts of worship (individual or group prayer, fasting, zakat and pilgrimage (Hajj), the transmission of the love of the Prophet, Mecca, and the Prophet companions, and the celebration of two religious holidays. None of these transmission tools requires separation from non-Muslims, apart the stay in Mecca. It is clear that the interests of all requires French politicians and government employees to not allow themselves to be tempted to follow the misguided theories of Ms. Bergeaud-Blackler based on her vision of a French society in conflict because any one group is not 100% like another group ! These arguments come from a superficial and highly selective reading of source materials and an attempt to manipulate the French social system to some groups’ xenophobic and/or economic agenda. We have to concentrate our efforts to solve the real problems of illegal practices within the halal marketing system. Also, to protect French commercial interests on the national and international markets, it is imperative that institutional positions become more responsive to the demands and needs of Muslim consumers both within and beyond France. Bernard Godard is a former agent of general information for the Secret Police. Since, 1997, he has been a government’s advisor on Islamic issue. He is not Muslim. “Of course I do not challenge the concept of halal itself, where the contours are defined by the various sacred Muslim texts. What I mean by "the invention of halal identification", and there is nothing pejorative meant with this formulation, is the newness of the need to affix a label on a product, because until about 20 years ago products were mainly produced or consumed in a Muslim country. Thus, affixing a label was not seen to be needed. The growing size of the Muslim diaspora has created the need to formally identify products as halal and French Muslims are a good example of this need. However, I noticed that when the Tunisian government wanted to launch a halal brand, there was an outcry because the majority of Tunisians felt that what is produced in Tunisia is "naturally" halal and there is no need for it to be labeled. This was not the case for Morocco because it was understood that this brand was developed for products for export. So, yes, of course, there is an Islamic jurisprudence to implement such a scheme but it is complex (e.g., what about the validity of animals slaughtered by people of the book.) It (the Islamic Jurisprudence) must somehow be sought because it was not necessarily always used. This is what I call "invention" and that I should perhaps rather call the "rediscovery" or "upgrade" of halal”. Mr. Godard, Office of Worship (Ministry of the Interior), June 11, 2014. These words are an answer to the following question to Mr. Godard by Ms. Hanen Rezgui (ASIDCOM) on June 4, 2014" Finally, you say that halal labeling is an invention resulted from the market globalization of halal and that halal foods haven’t existed among Muslims is absolutely not compatible with your expertise on Islam. It is well established that the word ‘Halal’ identifies food products that comply with Islamic law. This statement is strictly defined by Muslim religious jurisprudence". "About ethics and religious rules, in general, of any religion whatsoever, my opinion is the following : ethics towards food for me does not belong to any particular religion. Proper treatment of animals, the fact of ingesting healthy products (e.g., excluding of bone meal from animal feed), and many other things are common to all mankind and are not confined to a "religious" ethics in particular. Perforating the skull of cattle with a barbaric device is surely against human ethics, but I have no evidence that the absence of stunning is more "ethical" even though the Jewish and Muslim slaughter is well done. This is why I think we should introduce a halal standard that is strictly focused on the ritual requirements excluding value considerations in general. For example, I have nothing against the assessment of a product as "Tayeb" or "Tayybat" but I wonder about the validity to qualify a product without requiring that it has gone through a halal qualification procedure. I respect the beliefs of those who think halal adds flavor to dishes (food) but I doubt that we should introduce this concept into a European standard. We must remember that the elements have to be strictly "objective", Mr. B. Godard, Office of Worship, June 11, 2014. These words are an answer to the following question to Mr. Godard by Ms. Hanen Rezgui (ASIDCOM), June 4, 2014 "Then I do not expect to see that the Office of Worship confuse between religious rules/definitions and ethics. I even understood that the claim of clearly indicating the religious rules and definitions in the (halal) standard are interpreted by you as a desire to Islamize some common ethical beliefs. I assure you that the jurisprudence of halal affects only Muslims". Her analysis includes that idea that the traditional meat sold in France during the First World War must be considered as Christian meat. “Websites full of normative discussions are fueled by users of both sexes and of all ages in search of ethical consistency, intoxicated by the freedom to "Islamize" unhindered. Through questions about what is halal or haram, or licit and illicit, they are discussing and reviewing the major themes of modernity ... 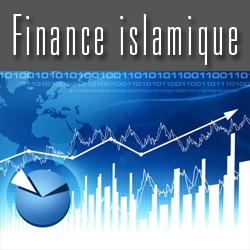 The halal business in the hands of economic actors, who have been engulfed in this ideological and historical vacuum” Bergeaud-Blackler Florence, “ Islamiser l’alimentation”. 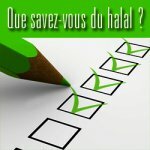 “Marchés halal et dynamiques normatives” Genèses, 2012/4 n°89, p. 61-87. American agency AT Kearney, Addressing the Muslim Market. Can You Afford Not To ? (2009). In France, the veil ban in public schools has prompted some families whose daughters refused to remove their veils to put them in private schools (Islamic, Catholic or other). However, most families still prefer public school, while they at the same time continue a fight to obtain the repeal of the law which they deem to be unjust. Similarly, the publication in 2012 of the Chatal circular, advocating the religious neutrality with respect to parents accompanying their children on school field trips and travel, did not succeed in stopping the veiled Muslim moms who have continued to accompany their children on such trips. These Muslim moms are conducting a fight against this new step that tries to exclude them from the social life en France.